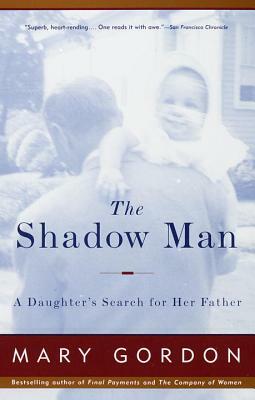 In The Shadow Man, the bestselling author of Final Payments and The Company of Women elevates the memoir into an uncompromising and unforgettable art form as she seeks to learn the truth about her lost father. 20 photos. Mary Gordon is the author of seven novels, including Final Payments, Pearl, and The Love of My Youth; six works of nonfiction, including the memoirs The Shadow Man and Circling My Mother; and three collections of fic­tion, including The Stories of Mary Gordon, which was awarded the Story Prize. She has received many other honors, includ­ing a Lila Wallace–Reader’s Digest Writers’ Award, a Guggenheim Fellowship, and an Academy Award for Literature from the American Academy of Arts and Letters. She teaches at Barnard College and lives in New York City.